Completely redesigned in 2011, the new and improved Luggage Bay Bike Rack fits MCI over-the-road coaches and select Van Hool vehicles. 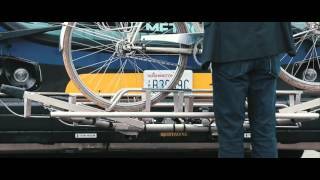 This rack offers an enclosed, safe and secure bicycle transport system without adding length to transit vehicles. 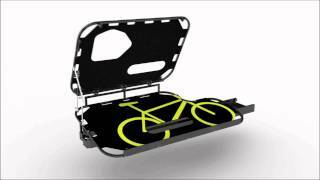 The Luggage Bay Bike Rack accommodates one or two standard bicycles excluding tandems and recumbents. A gas shock assists in lifting of the upper “bed" so bicycles can be loaded and unloaded independently. The Luggage Bay Bike Rack also includes an active latching system that secures the rack in the stowed position, and prevents the rack from sliding on the unique monorail system designed for loading and unloading bicycles.